When building your ecommerce business, graphic design resources such as stock photos, logo design services, image editing software, and color palette communities are helpful ways to create a professional-looking and well-rounded site, however, knowing what services are available and filtering through clumsy websites to find the quality ones can become time-consuming. Unless you’re in the know, finding vetted services through a simple Google search can quickly become overwhelming, so we’ve come up with a solution. These are the tools we use, and tools other industry professionals use, to create stand-out websites that are beautiful, well imaged, optimized, and attractive to our customers. These are the top recommended graphic design resources to use for your business. Imagery is often the ultimate attraction to a potential customer, so it’s worth your while to provide eye-catching imagery on your website. There are two types of imagery to have: Product photos and lifestyle shots. Product photos are simply photos of your products, usually set against a neutral background. These photos you can take yourself, especially if you follow our DIY Product Photography blog post tutorial, but using stock images won’t be the right fit for this purpose. What you want to use stock images for are lifestyle shots. Lifestyle shots give your potential customers an example of how your product fits into their everyday life or helps set a scene that tells a story or provides the appropriate ambiance for your brand. For example, Ikea will have isolated product photos on neutral backgrounds so you can examine the product for its details without distraction, but they’ll also style it in a room so you can see how the product would look in your house. If you aren’t particularly skilled at photography, don’t have the proper equipment or can’t hire a professional to take your lifestyle shots then stock photos are a great resource to use when you’re starting out. There are hundreds of thousands of free images you can find via simple searches, the hardest part really is finding a quality website to search for these stock photos on. There are plenty of websites that don’t provide quality photos or enough options, but the ones we’ve listed below are all vetted and offer top-notch quality in various different categories, and best of all, some of them are free to use with no attribution to the photographer required. Get searching to help bring your website to life. The resources listed under this category are mostly huge databases of images you can go to search for literally any kind of photo. Hundreds, thousands, and hundreds of thousands of photos make up each database, and they’re one of the first places you may want to look to get the largest selection of images available. All the other categories listed below offer resources that provide more personal or niche style of images which you’ll want to look into if you’re looking for a specific kind of image, but this category is stocked with all your stock photo needs. 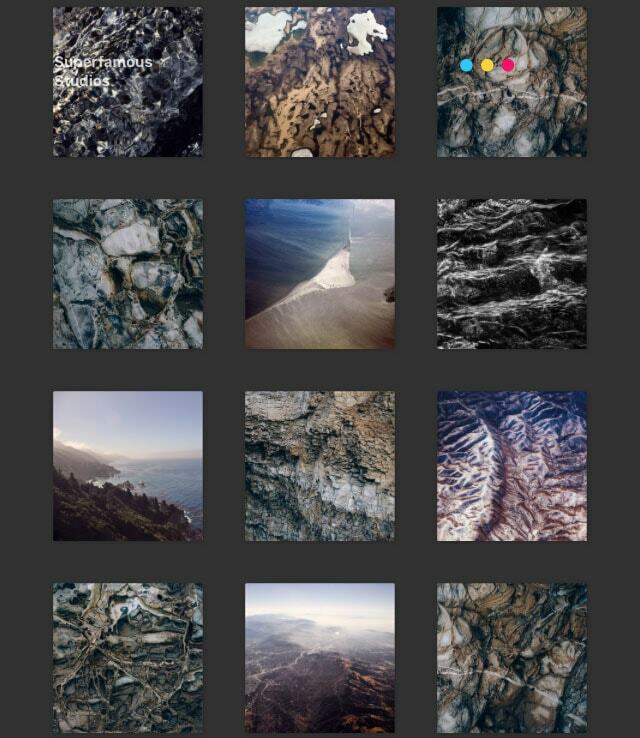 500px (Free): For breathtaking photos and an interactive user sharing experience. 500px Marketplace (Premium): Royalty-free stock photos. Alamy (Premium): Thousands of stock photos, vectors & videos. All the Free Stock (Free): For free stock photos, videos, sound effects, icons & more. 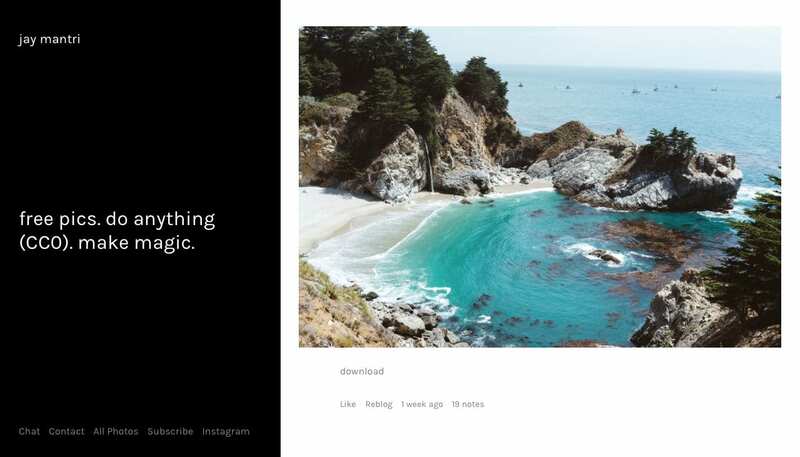 A Prettier Web (Free & Premium): Styled desktop stock photos. Barn Images (Free & Premium): A collection of free images & premium photo packs. Best Stock Photo Free (Free): Interesting and free stock photos from various categories. BlogPhoto.tv (Premium): High quality, original images for content creators. Brusheezy (Free & Premium): Photoshop brushes. Can We Image (Free): Simplified Wikimedia Commons search system. Compfight (Free): Visual inspiration search tool. Death to the Stock Photo (Free): Free photos & inspiration monthly. DepositPhotos (Premium): Stock photos, royalty free images, vectors & footage. Designer’s Pics (Free): Quirky high-resolution images for commercial & personal use. Dreamstime (Free & Premium): World’s largest stock community with 48 million images. Every Stock Photo (Free): Featuring the Library of Congress and NASA free images. Fancy Crave (Free): Driven to provide authentic, emotional, storytelling images. Foter (Free): Millions of stock photos and the most popular public domain stock photo site. Free Digital Photos (Free): Classic stock photography for business and personal use. Free Images (Free & Premium): Hundreds of thousands of classic stock photos. Freeepy (Free): Photos for commercial use. Freepik (Free): Vectors, photos & PSD downloads. Free Range Stock (Free): In-house images & archives plus thousands of exclusive photos. Get Refe (Free): High quality, natural looking photos available individually or in packs. Getty Images Embed (Free): For non-commercial websites and blogs. Good Free Photos (Free): Public Domain images, clipart, vectors and more. Gratisography (Free): Quirky high-resolution photos, new images added weekly. HiResStock (Free & Premium): Stock photos for designers. IM Free (Free): Images, templates & more. ISO Republic (Free & Premium): Exclusive photos used by designers, bloggers & teams. iStock (Free & Premium): Images, illustrations, videos, vectors and more. JeShoots (Free & Premium): Stock photos & PSD mockups. Kaboompics (Free): High-quality photos, new images every day. LibreShot (Free): Downloadable photos for websites, blogs or print. Morguefile (Free): Over 350,000 stock photos for creatives. Negative Space (Free): New stock photos added weekly. Offset (Premium): Royalty-free images from award-winning creators. PDPics (Free): Public domain pictures. Pexels (Free): All the best free stock photos in one place. PhotoDune (Premium): Royalty free stock photos & images. 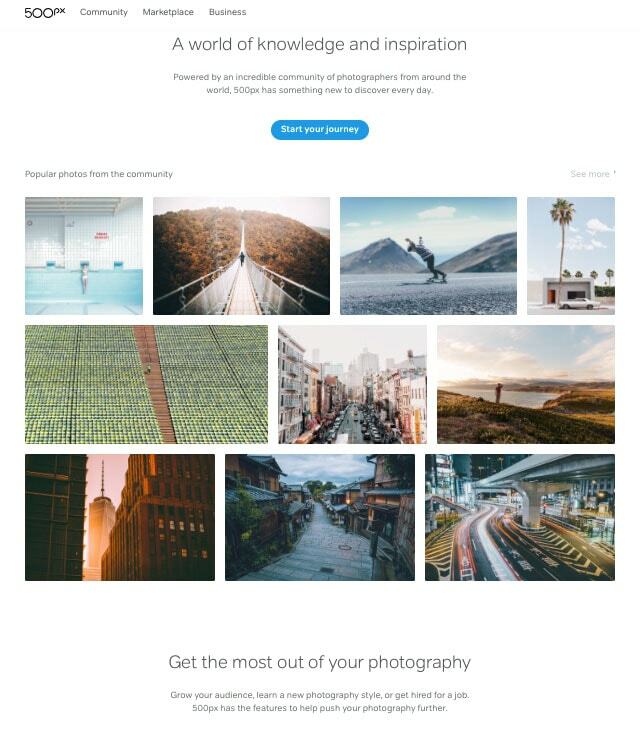 Photo Pin (Free): Millions of photos for bloggers and creatives. PicJumbo (Free): High-quality stock photos in various categories. Pickup Image (Free): High-resolution image collection. Pixabay (Free): Over 760,000 stock photos, illustrations and vectors. Pixite Source (Free): Photos, textures and overlays available in several categories. Public Domain Archive (Free): Vintage & modern public domain images for creative projects. Re:Splashed (Free): Thousands of high-definition images for web & design projects. Rgbstock (Free): More than 100,000 stock photos available. Shopify Burst (Free): High-resolution images for commercial use. Skitterphoto (Free): Public domain & stock photos for commercial use. Snapwire (Free): Authentic, royalty free photos. SplitShire (Free): Stylized images for commercial use. Stock Image Point (Free): Personal photo collection for individual or commercial use. The Stocks (Free): Royalty free stock photos, videos, mockups, icons & more. StockSnap (Free): Hundreds of high-resolution stock photos added weekly. Stock Up (Free): Searches through over 14,000 images and 28 stock photo sites. Stockvault (Free): Hundreds of photos, textures & illustrations added weekly. StokPic (Free): Stock photos for commercial use. TinyEye (Premium): Image search & recognition. Unsplash (Free): High-resolution photos with various curated collections. Vecteezy (Free & Premium): Vector Art, stock graphics & more. VectorStock (Free & Premium): 4.5 million royalty-free vectors. Visual Hunt (Free): Search for high-quality stock photos in one place. WeGraphics (Free & Premium): Vectors, brushes, icons & more. Wylio (Free): Creative Commons photo finder & re-sizer, attribution required. These resources are specifically related to tools or imagery that businesses would want to use. Whether you want to create product mock-ups or just want some images of people or teams working in offices, these resources cater specifically to that. Dunnnk (Free): Generates mockups for Apple & Android products. Graphic Burger (Free): Mockups, UI kits, icons, text effects, backgrounds and more. InstaMockup (Free): Create beautiful product screenshots for iPad & iPhone. Magic Mockups (Free): Real-life mockup generator. Placeit (Free): iPhone mockup generator & app demo videos. Really Good Emails (Free): An entire library of the best email designs. Startup Stock Photos (Free): Business related photos for startups, bloggers and media. Want professional food photos for your website? Need something specialty? Want some exquisitely styled photographs? These are the resources you want to use if you’re building your business in the niche food industry. Foodies Feed (Free & Premium): Food photos in various food-related categories, plus PSDs. Food Shot (Free): High-resolution food specific photos. Free Food Photos (Free): Food stock images. The Picture Pantry (Premium): Collection of food stock photography from the world’s finest photographers. 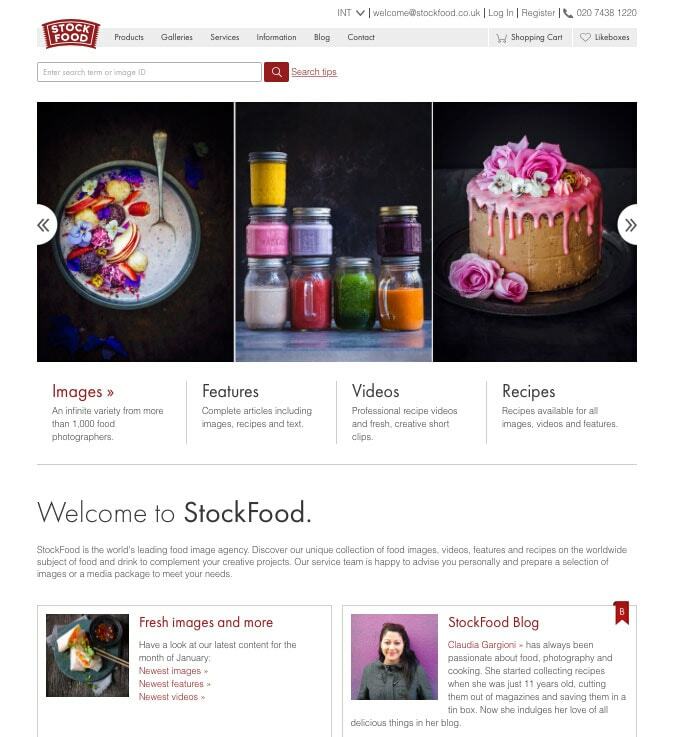 StockFood (Premium): Food media for creative professionals. Similar to the “Everything” category mentioned above, however, these photos are more personal and in some cases even rustic and homespun. Each resource here offers different subjects and styles, and you’ll want to take your time sorting through each page of photographs to find exactly what you’re looking for. It’s definitely worth the searching though, because these resources are full of character that may be exactly what you need to provide the right vibe for your site. Cupcake (Free): Photos of nature, cityscapes, food and all things lifestyle. Epicantus by Daria (Free): Beautifully rustic, homespun and neutral stylized images. Epicva (Free): Team of photography enthusiasts supplying images in several categories. Life of Pix (Free): High resolution, city-life images added weekly. Lock and Stock (Free): Quirky stock photos in several lifestyle categories. MMT (Free): Images of nature, offices, city details and other life moments. Photo Stock Editor (Free): Quirky and bright images featuring life’s moments. Picography (Free): Captivating lifestyle, travel and nature images. RaumRot (Free): Stunning lifestyle imagery for modern creatives. Realistic Shots (Free): Travel, technology and people are at the forefront, every week. Stocksy (Premium): Royalty-free stock photos, full of life’s energy. Streetwill (Free): Vintage-inspired photos of everyday life. Super Famous (Free): Quirky & artistic photos. There’s a lot of passion behind each photograph these resources offer, which is a perfect way to depict exotic destinations to your potential customers. No need to travel worldwide to capture that wanderlust feeling for your website, these stock photos are exceptional and will have you covered. Free Nature Stock (Free): Nature stock photos updated daily. Jay Mantri (Free): A combination of captivating city & nature photos. Little Visuals (Free): Get 7 landscape & nature photos every 7 days. Made in Moments (Premium): Travel stock photos. Moveast (Free): Personal collection of curated travel images from around the world. Paul Jarvis (Free): High-resolution photos from moments in nature. Pickup Image (Free): High-resolution travel images & clipart. Shutteroo (Free): Travel images & stock photos. Travel Coffee Book (Free): Sharing beautiful travel moments. A few outliers in the stock photo categories, each of these resources is unique in its own way. For specific images that no photo database may provide, such as vintage photos, pattern imagery and even desktop wallpapers, these resources are here to offer you something you may not find elsewhere. Ancestry Images (Free): Stock images for genealogy & ancestry researchers. New Old Stock (Free): Vintage photos from public archives. 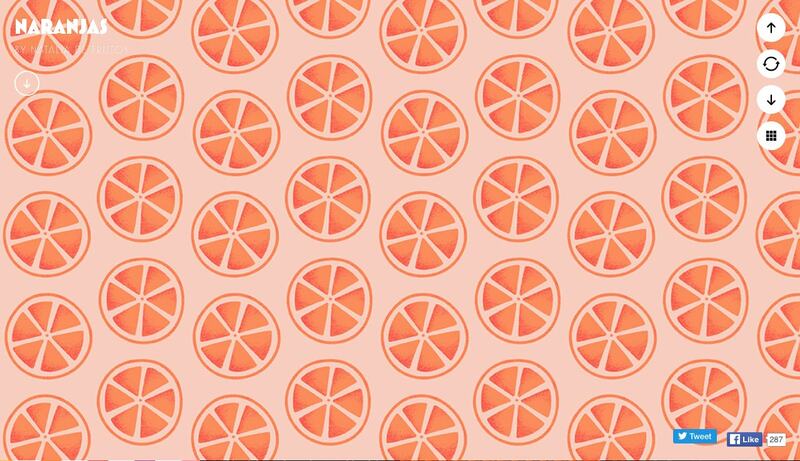 The Pattern Library (Free): High-quality patterns. Subtle Patterns (Free): High-quality resource for tileable & textured patterns. PS plugin (paid). UHDWallpapers (Free): High-definition wallpapers, desktop backgrounds & 4K images. Vintage Stock Photos (Free): Vintage & retro stock photos from around the world. If a picture says a thousand words then how many must a video say? This may be a cliche phrase, however, it certainly works wonders in practice. Say more with a stock video that will loop on your website and create an ambiance for your visitors. Of course, creating your own videos can be time-consuming, expensive and result in lackluster quality, so search through these databases to see what relevant videos you can find for your site. Animatron (Free & Premium): Online animation maker, banner maker & video maker. Audio Blocks (Premium): Royalty free music, sound effects & loops. Coverr (Free): Beautiful videos for your homepage. CriticalPast (Premium): Vintage stock footage, images & royalty-free archives. Cute Stock Footage (Free): Stock videos, sound effects, overlays, textures and more. Distill (Free): High-definition stock videos & video clips added every 10 days. Mazwai (Free): Captivating videos of all categories, attribution may be required. Pond5 (Premium): World’s largest HD & 4k stock video library, plus photos & audio. Splasheo (Free): Make professional introduction videos. 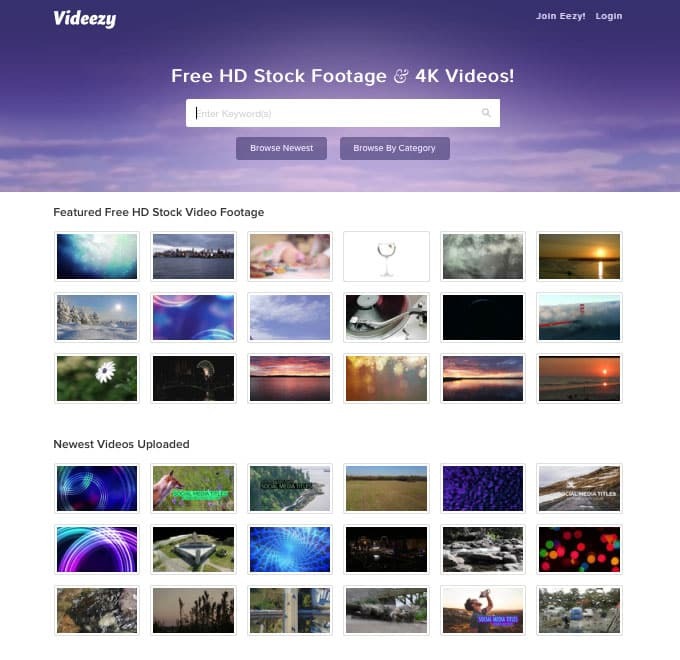 Videezy (Free): Stock videos, 4k footage & high-definition clips. Video Hive (Premium): Stock footage & video effects. Videvo (Free): Stock videos and high-definition video clips. Vimeo (Free): Collection of free, high-definition stock footage from Vimeo. If you’re using high-quality images on your site (which you should be) then you’ll likely be uploading images with large file sizes. The larger the file size, the longer it takes your website page to load, and the longer it takes to load the more time your visitors have to click off and go to another website. Users expect pages to load in a matter of seconds, so optimize your images properly and you won’t repel your potential customers. Each of these resources helps you to shrink the file size of the image without getting rid of quality, so you can have properly optimized images that will load quickly for your customers. Using one of these services is really as easy as downloading their software, drag and drop your photo in and voila, they’ll shrink the file size and you can upload it right away to your website. Easy. Compressor.io (Free): Compresses & optimizes images. 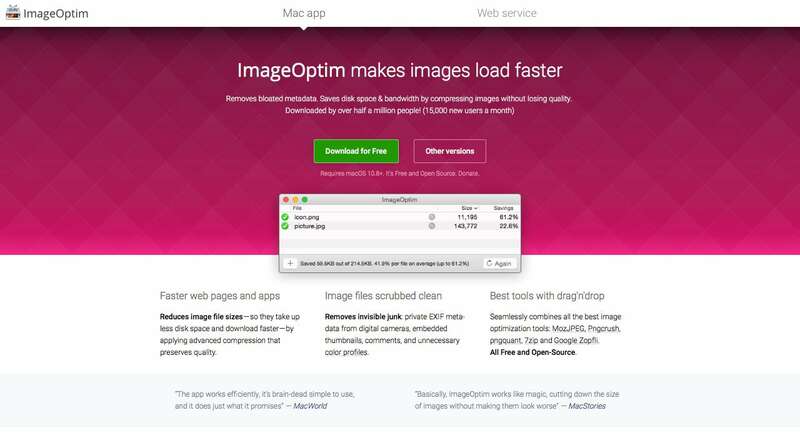 Image Optim (Free): Compresses & optimizes images. Kraken (Free): Compresses & optimizes images. SmallPDF (Free): Compress, convert & edit PDFs. Smush.it (Free): Compresses & optimizes images. TinyPNG (Free): Compresses & optimizes images. Adobe Photoshop can be intimidating to use for individuals who have no experience with image editing software, but these resources help you produce the same edited results without having to learn Photoshop. 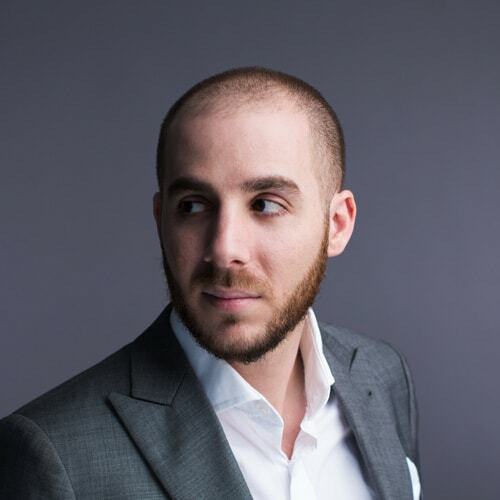 Depending on how you want to alter your image and what specifically you want to be done with it, peruse through the options below and find the one that’ll work best for you. 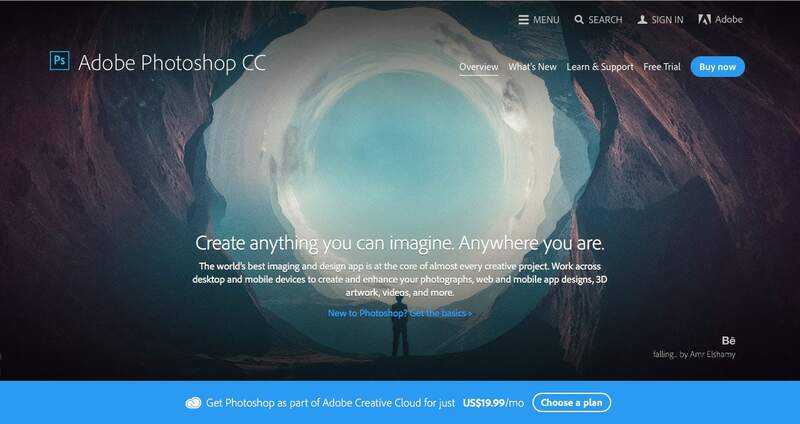 Adobe Photoshop (Premium): The world’s best imaging and design app, widely used by professionals & creatives. Adobe Photoshop Express (Free): Edit photos using Adobe Photoshop on your phone. Adobe Post (Free): Design custom social media images. Canva (Free): An easy way to create and customize images with pre-made templates, layouts, texts and backgrounds for social media, blogs, presentations, thumbnails and posters in both PNG and JPG files. 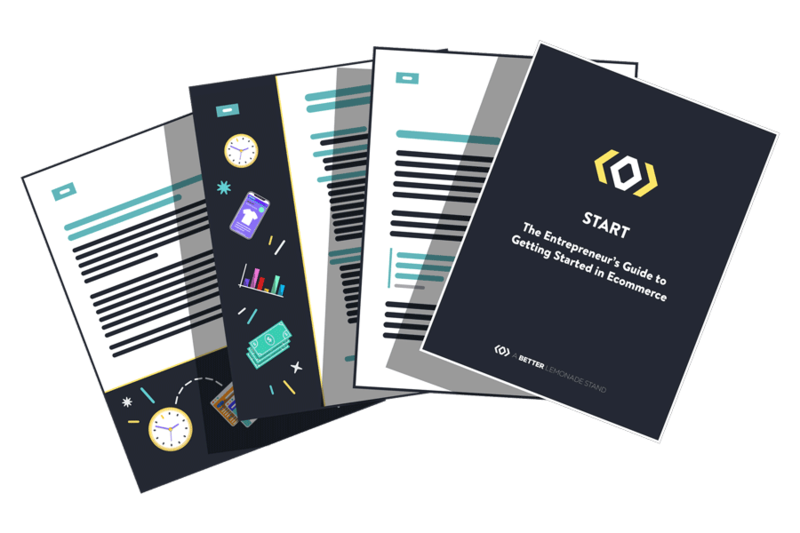 Easel.ly (Free): Thousands of infographic templates to create and share visual ideas online. Fotor (Free): Edit, collage or design images. GIMP (Free): Sophisticated GNU image manipulation tool & cross-platform image editor. Infogram (Free): Create infographics, charts & maps. Jing (Free): Create desktop screenshots & video. Landscape (Free): Simple & streamlines image resizing tool for social media. Pablo (Free): Design engaging social media images easily with your own photos or from their stock of over 600,000. PicLab (Free): Create text overlays & photo collages. PicMonkey (Free & Premium): Online image editor. Pixelmator (Premium): Full-featured image editor to enhance, touch-up, and add effects to images. Pixlr (Free & Premium): A family of photo editing applications available for download. Recite (Free): Quick and easy quote creating service for social sharing images. Relay (Free & Premium): Create and edit images, schedule & engage with your audience. Skitch (Free & Premium): Annotate, add shapes & sketch on photos & documents to make your point and provide feedback easily. 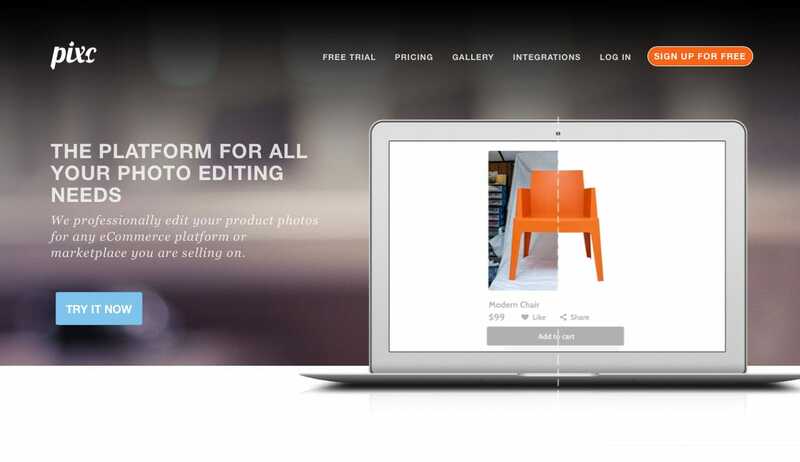 Smart Mockups (Free): Create product screenshots. Snappa (Free & Premium): Quick & easy graphic design software. Word Swag (Free): Add text to images. These are the tools you’ll want to use to create seamless product photos. They’ll give you that neutral background, no matter where you actually took the photo and with what photography equipment, so your product photos will look top notch. Each of these resources offers professional quality image editing but not at professional prices. Clipping Magic (Premium): Instantly remove product photo backgrounds. Deepetch (Premium): World’s leading image editing service provider. Pixc (Premium): Remove the background from product photos. Remove the Background (Premium): Image background removal service. If you need help learning how to edit images (specifically through Adobe Photoshop) then take advantage of these resources below for tutorials. They do more than offer specific image editing tutorials, so stick around if you want to learn more about other ways you can enhance your business. Photoshop Help Tutorials (Free): Specific to Adobe Photoshop, get answers to your most basic or sophisticated queries. CreativeLive (Free): Workshops in creative fields provided by experts. See what’s on live today. 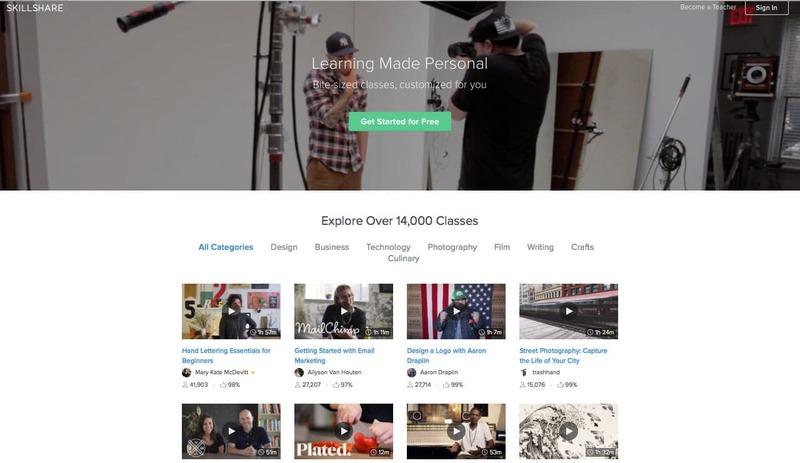 Skillshare (Premium): Classes in all subjects provided in bite-sized lessons for a boost of knowledge throughout your day. 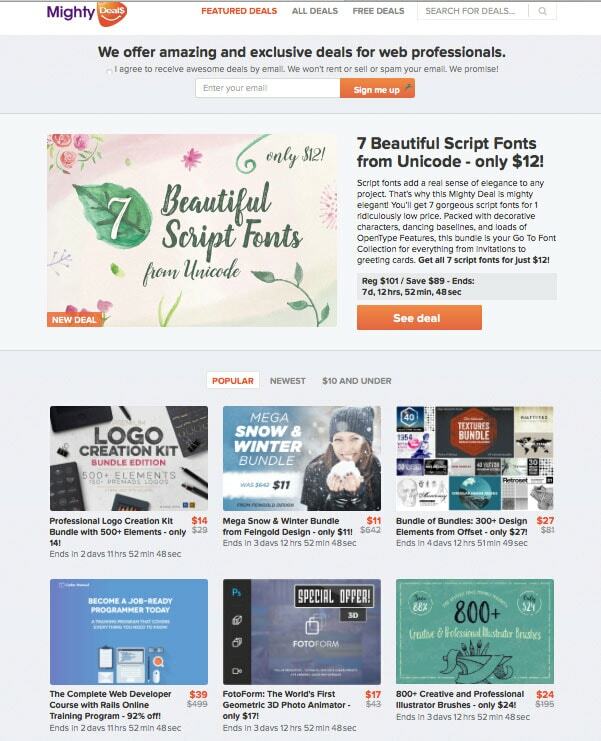 These marketplaces are the place to go to not only find images but also templates, logo designers, fonts, graphics, themes, and plenty more. These are your one-stop-shop, go-to’s for creative design on your website. They’re all super useful resources in their own way and are all worth checking out. 99 Designs (Premium): Find & work with logo, web, & graphic design freelancers online. Behance (Free & Premium): Showcase & discover creative work in the graphic design, photography & illustration fields. Bootflat (Free & Premium): Open source Flat UI Kit with a free PSD download for a faster, easier and less repetitive way for designers to create elegant web apps. Deal Jumbo (Premium): Discounted design bundles with extended licenses. Dribble (Free & Premium): Social network for creatives to show and tell, promote, discover, and explore designs. FilterGrade (Premium): Photoshop actions & Lightroom presets for designers, photographers & bloggers. 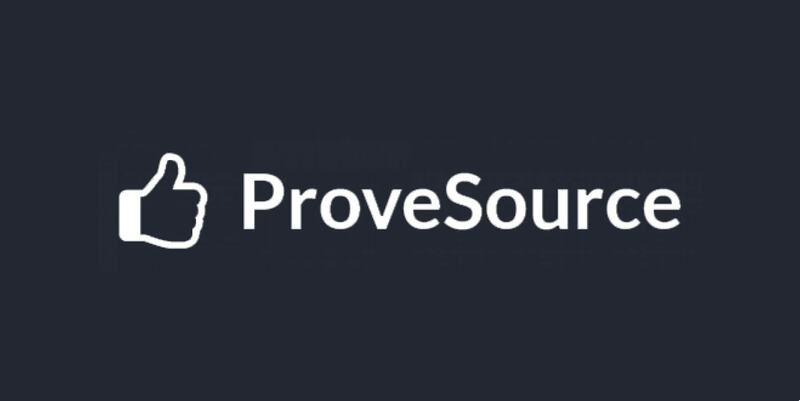 Fiverr (Premium): Creative & professional services provided by freelancers including graphics & design, writing, advertising, music & audio, programming & tech, plus more. Function (Free & Premium): Design blog facilitating resources & inspiration. GraphicRiver (Premium): Huge collection of graphic assets including logos, fonts, icons and more. Need a great company logo design or want to have a look at some good ones? Check out these resources to help you out if you don’t want to completely make one from scratch or a template. These high-quality resources are easy to use and you can come out with a stunning logo for much less of the cost than hiring a designer (like the great ones listed in our Logo Designers Directory) to make you one. Looka (Premium): Artificial intelligence powered online logo maker. Read our full Looka Review here. Tailor Brands (Free & Premium): Interactive & customizable instant logo maker and online logo designs. 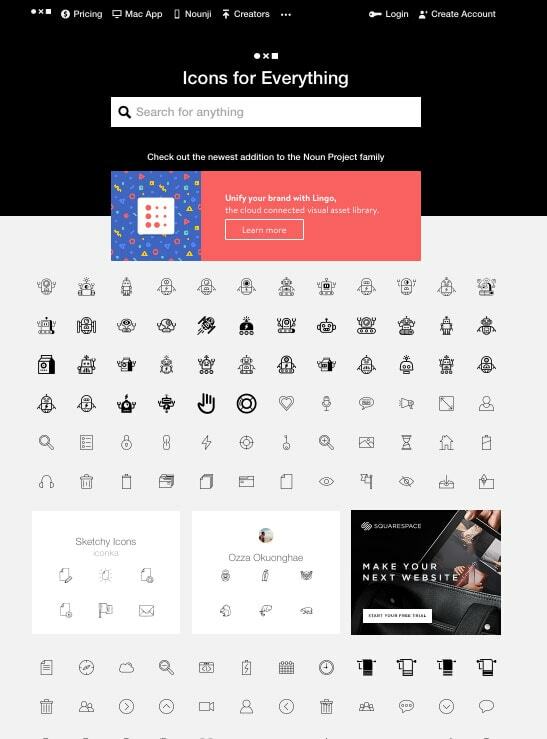 Squarespace Logos (Free & Premium): Logos made simple. Logaster (Free & Premium): Online software for logo design. Logopond (Free & Premium): Showcasing logo designs to inspire and improve talent through knowledge and experience. Logoshi (Free & Premium): Fast & inexpensive logo maker. 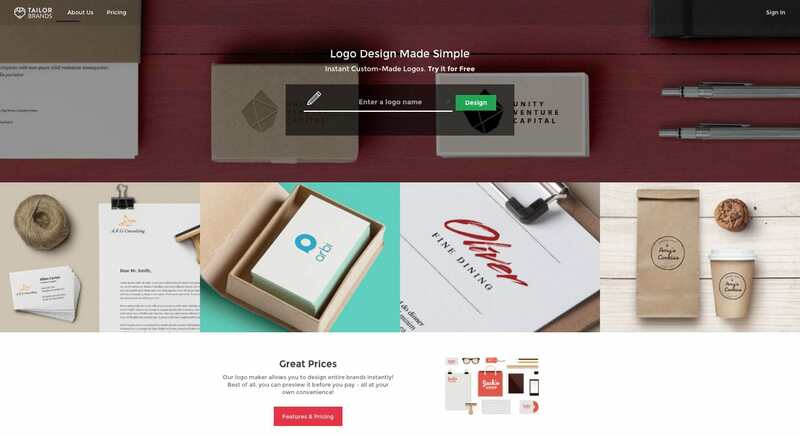 Withoomph (Free & Premium): Online instant logo design generator. Fonts become a huge part of your branding and the overall look and feel of your website. They relay a sense of atmosphere to your customers and sometimes you’ll find you have to settle on conventional fonts because it’s all that’s on offer. Well not anymore, if you make use of these font resources! They specialize in providing quality fonts to help make your website look and feel better. 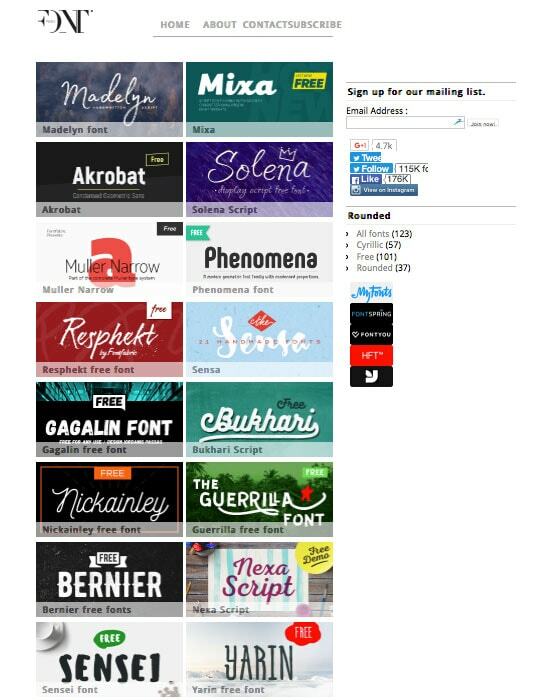 1001 Free Fonts (Free & Premium): Downloadable fonts in many different categories. Adobe Typekit (Free & Premium): Marketplace for new & additional fonts for designs. Behance Free Fonts (Free): Assorted selection of fonts. DaFont (Free): Thousands of downloadable fonts. Font Fabric (Free & Premium): High-quality fonts for web, print or logos. Font Library (Free): Catalogue of assorted fonts. Font Squirrel (Free): Quality fonts available for commercial use. Google Fonts (Free): Directory of open source designer web fonts. The League of Moveable Type (Free): Well made, free & open source fonts. Lost Type (Free & Premium): A source for unique typefaces. MyFonts (Premium): Large library of assorted fonts. What the Font (Free): Find specific fonts by uploading an image of what you’re looking for. Color palettes play an important role in developing your website’s branding, which we discuss in our Ecommerce Branding Guide. This guide will help you choose a color palette, figure out which colors will work well with one another, how they’ll speak for your brand, and find their HEX code. Once you’ve read that, these resources can help you locate all things color-related that you’ll need to build a beautiful looking website. 0 to 255 (Free): A simple tool to help web designers find color variations. Adobe Color CC (Free): Adobe color wheel & color schemes. 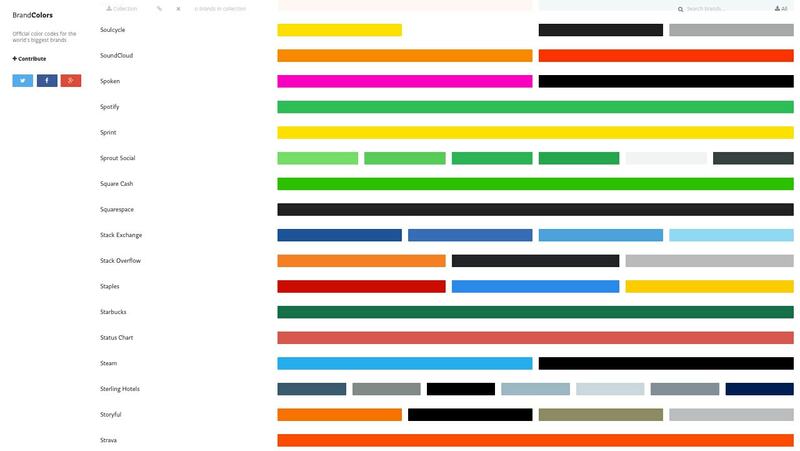 BrandColors (Free): Color codes used by famous brands. Design Seeds (Free): Color pallet inspiration. Flat Color Picker (Free): Best flat colors for UI design. Flat UI Colors (Free): Small web app to help you copy colors from Flat UI. Get UI Colors (Free): Get awesome UI colors for your website. HEX Colorrrs (Free): HEX to RGB converter. Material Palette (Free): Material design color palette generator. Material UI Colors (Free): Material design colors, material colors & color palettes. Paletton (Free): Color scheme designer. Skala Color (Free): Color picker for designers & developers. Icons are useful for working into logos or as images on your website, depending on your own unique style. Search through the copious amounts of icons you can find in these resources to get an idea of what’s on offer and you’ll find yourself reasons to work them into your store. These are a useful tool that many people forget about using but can really pack a punch when used effectively. Endless Icons (Free): Free icon library. Flat Icon (Free): Vector icons available in SVG, PSD, EPS, & icon font. Font Awesome (Free & Premium): Icon font & CSS toolkit. Fontello (Free): Icon fonts generator. GlyphSearch (Free): Search for icons from various services to find what you’re looking for. IcoMoon (Free & Premium): Icon fonts & SVG icon sets. InconApp (Premium): Search for, organize and use icons. Icon Finder (Free & Premium): Over a million icons & thousands of icon sets. Icon Monstr (Free): Thousands of simple icons in hundreds of collections. IconSweets2 (Premium): Huge set of minimal icons for any project. MakeAppIcon (Premium): Icon resizer for mobile app developers. Material Design Icons (Free & Premium): Icon collections in the format, size & color for any project. Perfect Icons (Free): The easiest way to create resolution-independent social icons. The Noun Project (Premium): Icons for everything. If you’ve scoured all the free design resources and you’re ready to move onto the premium market, it’s no secret that some of the stuff out there can really take its toll on your wallet. Have no fear, use these resources to get discounted access to some of the more premium, high end and exclusive design related tools so you can up your game without taking a hard hit on your bank account. App Sumo (Premium): Offers & discounts on varying tools & resources for creative professionals. 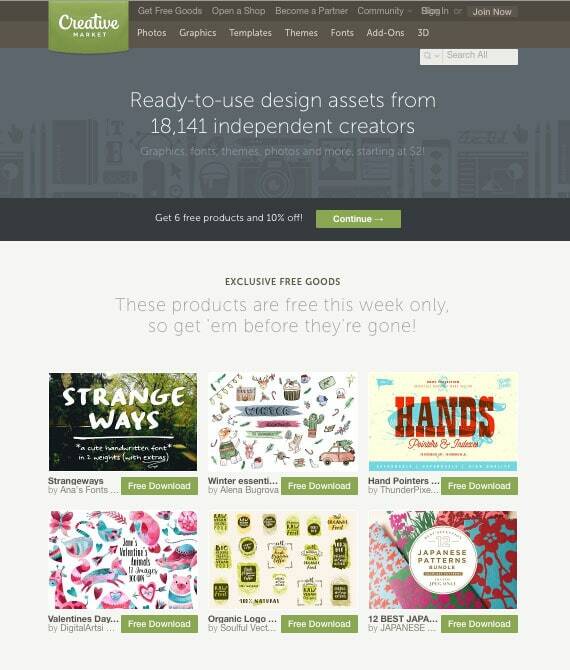 Design Cuts (Premium): Discounted design bundles for creative professionals. MightyDeals (Premium): Exclusive deals for web professionals. My Design Deals (Premium): Daily deals for graphic designers & creative professionals. 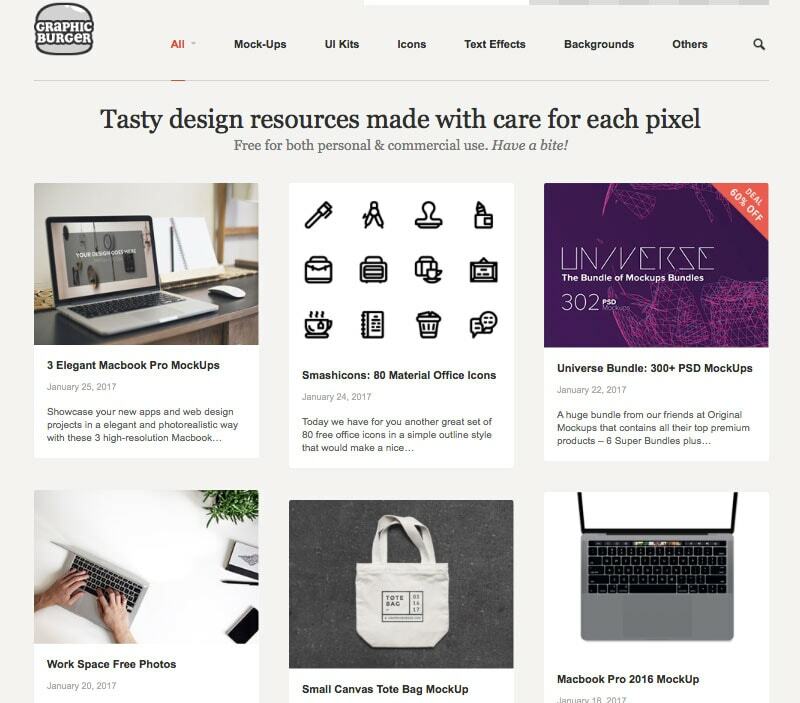 With these 200+ graphic design resources, you now have endless tools to help you create a visually stunning ecommerce website. Each of these services will help you to provide a more friendly user experience for your visitors, and they can help bring your brand story to life. Creating captivating graphics is an achievable feat, even if you have no professional experience or training, so take advantage of what these resources can offer you and start building a more beautiful website.